There is scarcely another word that arouses such suspicion, mistrust, and even animosity among professing Christians as the word Calvinism. And yet much of the zeal that is levelled against this system and those who hold and preach it is most certainly a zeal which is not according to knowledge. The following articles are written in the hope that much of the abuse that is hurled at the Calvinistic system of theology will be withdrawn, and that the truth of that great teaching, which was the backbone of our fathers in the faith, and the strength of the church in a far more glorious era than our own, will be clearly seen. 1. Free will, or human ability. This taught that man, although affected by the Fall, was not totally incapable of choosing spiritual good, and was able to exercise faith in God in order to receive the gospel and thus bring himself into possession of salvation. 2. Conditional election. This taught that God laid His hands upon those individuals who, He knew - or foresaw - would respond to the gospel. God elected those that He saw would want to be saved of their own free will and in their natural fallen state — which was, of course, according to the first point of Arminianism, not completely fallen anyway. 3. Universal redemption, or general atonement. This taught that Christ died to save all men; but only in a potential fashion. Christ's death enabled God to pardon sinners, but only on condition that they believed. 4. The work of the Holy Spirit in regeneration limited by the human will. This taught that the Holy Spirit, as He began to work to bring a person to Christ, could be effectually resisted and His purposes frustrated. He could not impart life unless the sinner was willing to have this life imparted. 5. Falling from grace. This taught that a saved man could fall finally from salvation. It is, of course, the logical and natural outcome of the system. If man must take the initiative in his salvation, he must retain responsibility for the final outcome. As can be readily seen, these set themselves in complete opposition to the Five Points of Arminianism. Man is totally unable to save himself on account of the Fall in the Garden of Eden being a total fall. If unable to save himself, then God must save. If God must save, then God must be free to save whom He will. if God has decreed to save whom He will, then it is for those that Christ made atonement on the Cross. If Christ died for them, then the Holy Spirit will effectually call them into that salvation. If salvation then from the beginning has been of God, the end will also be of God and the saints will persevere to eternal joy. 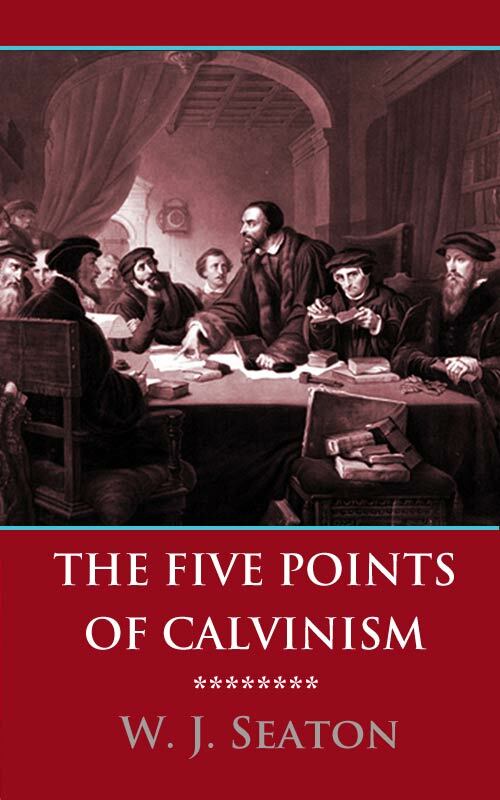 These are the so-called Five Points of Calvinism. We shall now proceed to examine them in more detail, firmly based as they are upon the Word of God, and held tenaciously by our forbears in "the faith once delivered to the saints". For that faith we are to contend earnestly. We shall see the truth of what Charles Haddon Spurgeon meant when he declared, "It is no novelty, then, that I am preaching; no new doctrine. I love to proclaim those strong old doctrines that are nicknamed Calvinism, but which are surely and verily the revealed truth of God as it is in Christ Jesus." As we come to consider the first of the five main points of Calvinism, surely the thing that should impress us is the fact that this system begins with something that must be fundamental in the matter of salvation, and that is, a correct assessment of the condition of the one who is to be saved. If we have deficient and light views about sin, then we are liable to have defective views regarding the means necessary for the salvation of the sinner. If we believe that the fall of man in the Garden of Eden was merely partial, then we shall most likely be satisfied with a salvation that is attributable, partly to man, and partly to God. How full of common sense are the words of J. C. Ryle on this subject! "There are very few errors and false doctrines," he says, "of which the beginning may not be traced up to unsound views about the corruption of human nature. Wrong views of a disease will always bring with them wrong views of a remedy. Wrong views of the corruption of human nature will always carry with them wrong views of the grand antidote and cure of that corruption." Fully aware that this was the case, the theologians of the Reformation and those who formulated the Reformed teaching into these Five Points at the Synod of Dort, basing their findings firmly on the Scriptures, pronounced that man's natural state is a state of total depravity and therefore, there was a total inability on the part of man to gain, or contribute to, his own salvation. When Calvinists speak of total depravity, however, they do not mean that every man is as evil as he could possibly be, nor that man is unable to recognise the will of God; nor yet, that he is unable to do any good towards his fellow man) or even give outward allegiance to the worship of God. What they do mean is that when man fell in the Garden of Eden he fell in his "totality". The whole personality of man has been affected by the Fall, and sin extends to the whole of the faculties — the will, the understanding, the affections and all else. We believe this to be irrefutably taught by the Word of God to which we now refer. The following are merely a selection of the Scriptures that confirm the Calvinistic teaching of total depravity. "And God saw that the wickedness of man was great upon the earth, and that every imagination of the thoughts of his heart was only evil continually." [Gen 6.5]. This then, is man's natural state. We must ask, then: Can the DEAD raise themselves? Can the BOUND free themselves? Can the BLIND give themselves sight, or the DEAF hearing? Can the SLAVES redeem themselves? Can the UNINSTRUCTABLE teach themselves? Can the NATURALLY SINFUL change themselves? Surely not I "Who can bring a clean thing out of an unclean?" asks Job; and he answers, "Not one!" [Job 14.4]. "Can the Ethiopian change his skin, or the leopard his spots?" asks Jeremiah; "If they can," he concludes, "then may ye also do good, that are accustomed to do evil." [Jer 13.23]. Could the Word of God show more plainly than it does that the depravity is total? and that our inability to desire or procure salvation is also total? The picture is one of death — spiritual death. We are like Lazarus in his tomb; we are bound hand and foot; corruption has taken hold upon us. Just as there was no glimmer of life in the dead body of Lazarus, so there is no "inner receptive spark" in our hearts. But the Lord performs the miracle — both with the physically dead, and the spiritually dead; for "you hath he quickened — made alive — who were dead in trespasses and sins." [Eph 2.1]. Salvation, by its very nature, must be "of the Lord." Our acceptance or rejection of total depravity as a true Biblical statement of man's condition by nature will largely determine our attitude towards the next point that came under review at the Synod of Dort. Unconditional election is well set forth in the Baptist Confession of Faith of 1689, which we here quote as a convenient summary. It is also stated in almost identical terms in the Westminster Confession and the Thirty-Nine Articles of the Church of England and all the major confessions. "Those of mankind who are predestinated unto life," says the Baptist Confession, "God, before the foundation of the world was laid, according to His eternal and immutable purpose, and the secret counsel and good pleasure of His will, hath chosen in Christ unto everlasting glory, out of His mere free grace and love, without any other thing in the creature as a condition or cause moving Him thereunto." [Chapter 3, Article 5]. The doctrine of unconditional election follows naturally from the doctrine of total depravity. If man is, indeed, dead and held captive, and blind etc., then the remedy for all these conditions must lie outside man himself [that is, with God]. We asked in the last chapter: "Can the dead raise themselves?" and the answer must inevitably be: "of course not." If, however, some men and women are raised out of their spiritual death — "born again" as John's Gospel puts it — and since they are unable to perform this work for themselves, then we must conclude that it was God who raised them. On the other hand, as many men and women are not "made alive", we must likewise conclude that that is because God has not raised them. If man is unable to save himself on account of the Fall in Adam being a total fall, and if God alone can save, and if all are not saved, then the conclusion must be that God has not chosen to save all. This is no blind philosophy, but is drawn from, built upon, supported by, and revealed in the Scriptures of God. The subject is one that is as vast as the ocean itself; but we can do no more than quote just a few key verses and scriptures that act as chart and compass across these mighty seas. The story of the Bible is the story of unconditional election. It is strange that those who oppose themselves to this doctrine fail to recognise this. Some believers have difficulty in believing that God could pass by some and choose others, and yet they have no apparent difficulty in believing that God called Abraham out of heathen Ur of the Chaldees and left the others to their heathenism. Why should God choose the nation of Israel as His "peculiar people"? There is no need to speculate, for Deuteronomy 7.7 gives us the answer: "The Lord did not set his love upon you, nor choose you, because you were more in number than any people; for ye were the fewest of all people; but because the Lord loved you . . ." Why should God, completely disregarding the family laws of Israel, choose the younger son Jacob, in place of the elder Esau? Again, "to the law and to the testimony". Romans 9.11-13: ". . . that the purpose of God according to election might stand . . . Jacob have I loved but Esau have I hated." What was the doctrine that Jesus preached in the synagogue at Nazareth but the doctrine of unconditional election? "And I tell you, many widows were in Israel in the days of Elias . . . but unto none of them was Elias sent save unto a woman of Sarepta. . . and many lepers were in Israel in the days of Eliseus . . . and none of them was cleansed saving Naaman the Syrian." [Luke 4.25-27]. We know the outcome of our Lord's preaching of that message: "They led him to the brow of the hill that they might cast him down headlong." Lack of space forbids a full account of God's sovereign choice of His people; but the truth is clear: "Ye have not chosen me, but I have chosen you" [John l5.6]; "Has not the potter power over the clay, to make one lump unto honour and another to dishonour"? [Rom 9.21]. "I will have mercy on whom I will have mercy." [Rom 9.15]; "Chosen in Christ from the foundation of the world," "predestinated unto the adoption of children" [Eph 1.45]; and so on. 1. God's foreknowledge is spoken of in connection with a people and not in connection with any action which people performed. The Scripture reads: "Whom he did foreknow" etc. Again God speaks thus through Amos: "You only have I known of all nations of the earth." That is to say, irrespective of any action, good or had, performed by them, God "knew" them in the sense that He loved and chose them to be His own. It is thus that He foreknew His elect. 2. It will not do to say that God elected us because He saw something that we would do — that is, accept His Son. We are not chosen because we perform such a holy work as "accepting" Christ, but we are chosen so that we might be able to "accept" Him. "For we are his workmanship, created in Christ Jesus unto good works, which God hath before ordained that we should walk in them." [Eph 2.10]. 3. Neither will it do to say that God foresaw those who would believe. Acts 13.48 makes this abundantly clear: "And as many as were ordained to eternal life believed." Election is not on account of our believing, but our believing is on account of our being elected — "ordained to eternal life." 4. Again, to say that we exercised faith in accepting Christ, and that God foresaw this faith, and, therefore, elected us, only drives us a step further back; for, where did we get the faith to exercise? The Scriptures provide the answer: "It is the gift of God, not of ourselves." Surely, instead of arguing against these things, we should be doing what the Holy Spirit through the apostle Peter commands us to do: "Give diligence to make your calling and election sure." This third point not only brings us to the central point of the five, but also to the central fact of the gospel, that is, the purpose of Christ's death on the Cross. This is not accidental. The theologians who had set themselves the task of defending the truths of the Protestant Reformation against the attacks of the Arminian party were following a Biblical and logical line in their formulations and had now arrived at the very pivot of salvation. First of all, they had asked, "Who is to be saved?" The answer was "Man". But the Bible's teaching with regard to man showed that man, in his natural state, is totally unable to save himself. Thus, we have the teaching of the Bible on man set under the general heading of total depravity, or total inability. Secondly, as some men and women are undoubtedly saved, then it must have been God Himself who had saved them in contra-distinction to the rest of mankind. This is election: "That the purpose of God according to election might stand . . ." [Rom 9.11]. However, this election only "marked the house to which salvation should travel," as Spurgeon puts it, and a full and perfect and satisfactory atonement was still required for the sins of the elect, so that God might be, not only a Saviour, but "a just God, and a Saviour." This atonement, as we all acknowledge, was accomplished through Christ's voluntary submission to the death on the Cross where He suffered under the justice of this just God, and procured the salvation that he as Saviour had ordained. On the Cross, then — and, no doubt, we all accept this — Christ bore punishment, and procured salvation. 1. Christ died to save all men without distinction. 2. Christ died to save no one in particular. 3. Christ died to save a certain number. The first view is that held by "Universalists," namely, Christ died to save all men, and so, they very logically assume, all men will be saved. If Christ has paid the debt of sin, has saved, ransomed, given His life for all men, then all men will be saved. The second view is the "Arminian" one, that Christ procured a potential salvation for all men. Christ died on the Cross, this view says, but although he paid the debt of our sin, his work on the Cross does not become effectual until man "decides for" Christ and is thereby saved. The third view of the Atonement is the "Calvinistic" one, and it says that Christ died positively and effectually to save a certain number of hell-deserving sinners on whom the Father had already set His free electing love. The Son pays the debt for these elect ones, makes satisfaction for them to the Father's justice, and imputes His own righteousness to them so that they are complete in Him. Christ's death, then, could only have been for one of these three reasons: to save all; to save no one in particular; to save a particular number. 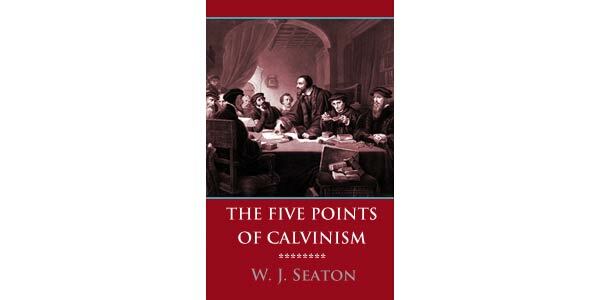 The third view is that which is held by the Calvinist and is generally called limited atonement, or particular redemption. Christ died to save a particular number of sinners; that is, those "chosen in him before the foundation of the world" [Eph 1.4]; those whom the Father had "given him out of the world" [John 17.9]; those for whom He Himself said He shed His blood: "This is my blood of the new covenant, which is shed for many, for the remission of sins" [Matt 26.28]. This last view, we claim, does justice to the purpose of Christ's coming to this earth to die on the Cross. "Thou shalt call his name Jesus, for he shall save his people from their sins." Not the Jews, surely, for the Jews are not saved as a people. Jesus "loved the church, and gave himself for it" [Eph 5.25]. "He was delivered for our offences, and raised again for our justification" [Rom. 4.25]. Whom does the Holy Spirit mean when He says, "Our"? The world? If so, then the Universalist is right, for Christ was, then, "delivered for [the world's] offences and raised again for [the world's] justification", so the world is justified before God. "As in Adam all die, so in Christ shall all be made alive" [1 Cor 15.22]. This again can only mean that all of Adam's posterity die in Adam, as indeed they do, for "death has passed upon all men"; but all of Christ's posterity — the Church that He gave Himself for — are made alive in Him. Why is this? Surely, it is because He gave Himself for them! "By his knowledge shall my righteous servant justify many, for he shall bear their iniquities" [Is 53.11]. And when He accomplishes this as He hangs upon the Cross, says the prophet Isaiah in that great chapter 53 of his prophecy, He sees "of the travail of his soul and shall be satisfied." The travail of His soul as He pours out His soul an offering for our sin shall bear spiritual children to the praise of His name, and He shall be satisfied when He sees this work accomplished. We do not overlook the fact that there are some Scriptures which refer to the "world", and many have taken these as their starting point in the question of Redemption. However, when we compare scripture with scripture, we see that the use of the word "world" need not imply "every man and woman in the world." "Behold, the world has gone alter him," they said of Jesus; every person, however, had not "gone after" Christ. The expression means "every kind of person" — and normally Gentile as well as Jew. The over-riding question must always be the Divine intention; did God intend to save all men, or did He not? If He did not intend to save all men without exception but only the elect, then, the work of Christ on the Cross is a glorious success, and we right well believe: "All that the Father giveth me shall come to me . . ." [John 6.37]. If, on the other hand, it was God's intention to save the entire world, then the atonement of Christ has been a great failure, for vast numbers of mankind have not been saved. Christ paid our debt! Whose debt? The world's, or the elect's? Surely, if a man has been redeemed by a redeemer, then the law which he has broken must be satisfied by reason of the work of the Surety on his behalf. This fourth point of the Calvinistic system of belief is, once again, the logical outcome of all that has gone before it. If men are unable to save themselves on account of their fallen nature, and if God has purposed to save them, and Christ has accomplished their salvation, then it logically follows that God must also provide the means for calling them into the benefits of that salvation which He has procured for them. The Calvinistic system of theology, however, although soundly logical, is more than a system of mere logic. It is a system of pure Biblical belief which stands firmly on the Word of God. Its doctrine of irresistible grace, then, is not devised by the men who drew up the Five Points of Calvinism at the Synod of Dort, but is the revelation unfolded in God's Holy Word. For example, Romans 8.20: "Moreover, whom he did predestinate, them he also called." God not only elected men and women to salvation; He also called those whom it pleased Him to elect. What is meant by irresistible grace? We know that when the gospel call goes out in a church, or in the open air, or through reading God's Word, not everyone heeds that call. Not everyone becomes convinced of sin and his need of Christ. This explains the fact that there are two calls. There is not only an outward call; there is also an inward call. The outward call may be described as "words of the preacher", and this call, when it goes forth, may work a score of different ways in a score of different hearts producing a score of different results. One thing it will not do, however; it will not work a work of salvation in a sinner's soul. For a work of salvation to be wrought the outward call must be accompanied by the inward call of God's Holy Spirit, for He it is who "convinces of sin, and righteousness, and judgment." And when the Holy Spirit calls a man, or a woman, or a young person by His grace, that call is irresistible: it cannot be frustrated; it is the manifestation of God's irresistible grace. This is substantiated again and again in God's Word of Life, as for example in the following verses and portions. 1. "All that the Father giveth me shall come to me, and him that cometh to me I will in no wise cast out" [John 6.37]. Note that it is those whom the Father has "given to Christ" — the elect — that "shall come" to Him; and when they come to Him they will not be "cast out". 2. "No man can come to me except the Father which hath sent me draw him" [John 6.44]. Here our Lord is simply saying that it is impossible for men to come to Him of themselves; the Father must "draw" them. 3. "Every man, therefore, that hath heard, and hath learned of the Father, cometh unto me" [John 6.45]. Men may hear the outward call; but it is those who have "learned of the Father" who will respond and come to Christ. So, with Simon Peter: "Blessed art thou Simon Bar-Jona, for flesh and blood hath not revealed it unto thee, but thy Father, which is in heaven." 4. "For as many as are led by the Spirit of God, they are the sons of God" [Rom 8.14]. 5. "But when it pleased God, who separated me from my mother's womb, and called me by His grace . . ." [Gal 1.15]. 6. "But ye are a chosen generation . . . that ye should show forth the praises of him who hath called you out of darkness into his marvellous light" [1 Pet 2.9]. 7. "But the God of all grace, who hath called us unto his eternal glory by Christ Jesus . . ." [1 Pet 5.10]. One outstanding illustration of this teaching of irresistible grace, or effectual calling, is certainly the incident that we read in Acts 16. The apostle Paul preaches the gospel to a group of women by the riverside at Philippi; and as he does so, "a certain woman named Lydia heard us: whose heart the Lord opened, that she attended unto the things that were spoken of Paul." Paul, the preacher, spoke to Lydia's ear — the outward call; but the Lord spoke to Lydia's heart — the inward call of irresistible grace. Which will be the victor? If God's will is not victorious in the matter of our salvation, then, the Devil's will must be, for the devil is stronger than we are. Thomas Watson, an old Puritan of the 17th century, puts the matter vividly in these words: "God rides forth conquering in the chariot of His Gospel. . . He conquers the pride of the heart, and makes the will which stood out as a Fort Royal against Him, to yield and stoop to His grace; He makes the stony heart bleed. Oh! it is a mighty call! Why then do some men seem to speak of a moral persuasion? That God in the conversion of a sinner only morally persuades and no more? If God in conversion should only morally persuade and no more, then He does not put forth so much power in saving men as the Devil does in destroying them." Whose will shall be the victor? Our will? But does it not stand out, indeed, as "a fort royal" against the Lord; "Ye will not come unto me that ye might have life." The Devil's will? Then who will ever be saved, for his will must always be stronger than ours. But surely this is the gospel, that "a stronger than the strong" appears, conquering and to conquer in the chariot of His gospel; and He does conquer! He conquers Satan, and He conquers puny man as well, to the praise of His irresistible grace. And now, to the final point — the perseverance of the saints. Again, for the sake of summary, let us refer to the Baptist Confession, which agrees on this point with the other historic confessions of faith. "Those whom God hath accepted in the Beloved," it says, "effectually called and sanctified by His Spirit, and given the precious faith of His elect unto, can neither totally nor finally fall from the state of grace, but shall certainly persevere therein to the end, and be eternally saved, seeing the gifts and callings of God are without repentance. . . "
Again let us show that this is exactly what the Scriptures teach us. "For whom he did foreknow, he also did predestinate to be conformed to the image of his Son, that he might be the firstborn among many brethren. Moreover, whom he did predestinate, them he also called: and whom he called, them he also justified: and whom he justified, them he also glorified. What shall we then say to these things? If God be for us, who can be against us? . . . for I am persuaded that neither death, nor life . . . nor any other creature shall be able to separate us from the love of God which is in Christ Jesus our Lord." [Rom 8.27 ff]. And again, let us recognise the fact that all that the men at the Synod of Dort [and those who teach likewise] were doing, was putting into small compass in a systematic form, the teaching of God's gospel of free and sovereign grace. If man cannot save himself, then God must save him. If all are not saved, then God has not saved all. If Christ has made satisfaction for sins, then, it is for the sins of those who are saved. If God intends to reveal this salvation in Christ to the hearts of those whom He chooses to save, then, God will provide the means of effectually doing so. If, therefore, having ordained to save, died to save, and called to salvation those who could never save themselves, He will also preserve those saved ones unto eternal life to the glory of His Name. Thus following total depravity, and unconditional election, and limited atonement, and effectual calling, we have — the perseverance of the saints. "He that hath begun a good work in you will perform it until the day of Jesus Christ" [Phil 1.6]. The Word of God is replete with references to this blessed truth. "And this is the Father's will, that of all He hath given me I should lose nothing, but should raise it up again at the last day" [John 6.39]. "I give unto my sheep eternal life, and they shall never perish, neither shall any man pluck them out of my hand" [John 10.28). "For if; when we were enemies, we were reconciled to God by the death of his son, much more, being reconciled, we shall be saved by his life" [Rom 5.10]. "There is therefore now no condemnation to them that are in Christ Jesus" [Rom 8.1]. This is the believer's hallmark, that he belongs to Christ; that he is persevering in the things of Christ; that he is "giving all diligence to make his calling and election sure." The believer in Christ may fall into temptation, but the Lord will "not suffer him to be tempted above that which he is able, but will with the temptation also make a way to escape," so that the believer comes forth, and goes forth again in the things pertaining to his salvation to the glory of Christ. Those matchless verses of Romans 8.28-39 show the Divine logic in God's eternal salvation; the logic that Calvinism simply states. The salvation that begins in the mind and purpose of God must end in the fulfillment of His unthwartable purpose that those "whom he did foreknow" are eternally united with their Saviour. This, then, in very broad outline, is the teaching that is sometimes called Calvinism. Far from being an innovation of man, it is the doctrine of the Word of God clearly formulated and set forth. The perennial question, however, is sure to be raised: "But does not this Calvinism hinder the work of the gospel?" The most casual glance at the history of the church of Christ in this world is sufficient to invalidate such an opinion. The gospel of Christ has flourished most where and when the Lord's people have held these doctrines of grace close to their hearts. We think of the zeal of William Carey that drove him from his shoe-maker's shop to evangelize for Christ in India. Carey was a solid Calvinist, as also was Andrew Fuller, another great Baptist who helped form the Baptist Missionary Society. Consider these words of the godly David Brainerd, the man who believed that the Red Indians of America as well as the white men had souls; "I then had two desires", he writes in his journal, "mine own sanctification, and the ingathering of God's elect." One of the greatest evangelists of modern times was the Calvinistic George Whitefield, yet his Calvinism never hindered his preaching the gospel of Christ: "With what divine pathos", it was said of him, "did he exhort the sinner to turn to Christ." Calvinism, if we can use that word and not be misunderstood, was the gospel of Robert Murray M'Cheyne, as it was of Andrew Bonar, and William Burns, that great leader of revival and missionary to China. Martyrs, Reformers, leaders of Christ's church on earth, when they tell of the gospel that they preached and died for, tell out the gospel of God's saving grace to His own elect flock. How could one begin to list them? Luther, Calvin, Tyndale, Latimer, Knox, Wishart, Perkins, Rutherford, Bunyan, Owen, Charnock, Goodwin, Flavel, Watson, Henry, Watts, Edwards, Whitefield, Newton, Spurgeon, are but a few of God's noble army of witnesses to the truth of sovereign grace. Was any of their work for the Lord hindered by what they believed? And what did they believe? They believed that God was sovereign Lord. They dared to believe that they worshipped and served a King who "worketh all things after the counsel of his own will." Well did that prince of preachers, Charles Haddon Spurgeon, put it when he said, "I have known men bite their lip and grind their teeth in rage when I have been preaching the sovereignty of God . . . the doctrinaires of today will allow a God, but He must not be a King." Did Spurgeon hinder the gospel? And yet, how many rose up in strife against him on account of his doctrine! "We are cried down as hypers," he could say, "scarcely a minister looks on us or speaks favourably of us; because we hold strong views upon the divine sovereignty of God, and His divine electings and special love towards His people." Perhaps a word from that same giant of the church should set a closing exhortation before us to lay firm hold upon these blessed truths of God's Word and tell them forth to the praise of His Name. "The old truth that Calvin preached, that Augustine preached, that Paul preached, is the truth that I must preach today, or else be false to my conscience and my God. I cannot shape the truth, I know of no such thing as paring off the rough edges of a doctrine. John Knox's gospel is my gospel; that which thundered through Scotland, must thunder through England again." Amen and Amen.